The Nidiaci garden and play centre/toy library (ludoteca) is the only public park area for children in the San Frediano district of Florence's Oltrarno. Our volunteers keep the Nidiaci garden open on every Tuesday and Wednesday afternoon from 4.30 to 7.30. Entrance is from Via d'Ardiglione (a small L-shaped street joining Via Santa Monaca to Via de' Serragli, near the Carmine church). It is reserved to members of our Association (5 euros membership plus 5 euros annual fee), but occasional visitors to Florence who are interested in getting to know our experience are welcome. Palazzo Nidiaci was the study of one of the most important Italian sculptors of the nineteenth century, Emilio Santarelli, who grew camelias in the neighbouring garden. In 1920, the American Red Cross made funds available to turn the garden into an institution dedicated to "popular education, with special attention to children". The mediator of the operation was the lawyer Umberto Nidiaci, after whom the complex is named today. It closed down in the autumn of 2012, when real estate dealer Salvatore Leggiero's Amore & Psiche Holding ("Eros and Psyche") took over the roofed area and then fenced off nearly half the garden with a two-metre high wooden wall. 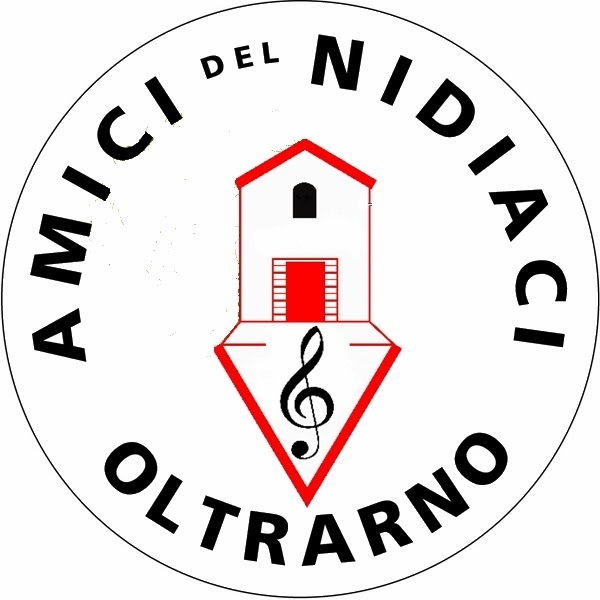 In spring 2013, the inhabitants of the Oltrarno formed an association called Amici del Nidiaci in Oltrarno ("Friends of the Nidiaci in Oltrarno") to keep at least the garden open for the children of the Oltrarno. Here is how our first opening day, May 7, 2013, went. Yesterday we managed to open the Nidiaci garden again. First take Florence, a city suffocating in its own glory, under a cloud of smog, fashion events, shop windows, banks and busloads of tourists, with pub-crawlers keeping residents awake through the night. No wonder the centre has largely been abandoned for anonymous areas in the outskirts. One last district still survives: the Oltrarno, especially the part called San Frediano, named after a fifth-century Irish bishop. The heart of San Frediano is the great church of Santa Maria del Carmine, known all over the world for the chapel of the Brancacci family where some of the main works of the early Renaissance can be seen. Tucked in behind the Carmine church, is a walled garden, just visible through its gates (at the bottom right of the picture above). The children of San Frediano have all grown up, generation after generation, for ninety years. In the 1950s and 1960s, the Nidiaci was where a group of socially-minded Catholics, led by the then mayor of the city, Giorgio La Pira, carried out activities for the impoverished children and young people of the district which many still remember. For a whole winter, we were kept out of the Nidiaci. However, everybody knows everybody in San Frediano, and in a few months the residents - Florentine craftsmen and workers, immigrants from southern Italy and other countries, artists and intellectuals from the US and northern Europe - set up an association to save the garden. Thanks to an agreement with the local government, on May 7th, we opened our garden again. Eight hours of constant storm had been forecast in the weather reports, but it turned out to be a beautiful day. We opened the great gate. Put up our notices on the wooden wall, and figures of climbing children on the iron netting. There was no water, but in a district of craftsmen, a quarter of an hour after opening the garden, a fountain which seemed dead came back to life. Families started to come. In a short time, the garden filled up and we counted one hundred and thirty children and at least as many grown ups. After a year's silence, we could hear the violins again: violist Wendy Yates from Colorado giving free lessons to the children of Oltrarno. The noisier children immediately took over the soccer field, after a year they had had nowhere to play. And some were able to put into practice their dream of writing freely on a wall. At one point, three workers of Amore e Psiche - Albanians who certainly will never be able to live in the luxury flats they are building - tried to come into our part of the garden with their truck, but a grandmother stopped them, and they withdrew. At the entrance, at a table made available by the owner of the restaurant I' Raddi, three mothers handled the long queue of people asking to join our association. In the end, we did more than just open a garden. We finally had a day of simply normal life together. A presentation in English of the Nidiaci community garden kept alive by the inhabitants of Florence's Oltrarno. You will like it, and we need all the friends we can get! Grazie all'aiuto del Quartiere 1, i nostri volontari tengono aperto il giardino del Nidiaci - con ingresso in Via dell'Ardiglione - da lunedì a venerdì dalle 16.30 alle 19.30. L'ingresso è riservato ai soci dell'Associazione Amici del Nidiaci in Oltrarno Onlus e/o della Ludoteca di Via Maffia. E' possibile tesserarsi sul posto. Palazzo Santarelli, in Via della Chiesa 44, 46 e 48 di Firenze, fu costruito come studio da uno dei più grandi scultori dell'Ottocento, Emilio Santarelli, che nell'annesso giardino coltivava le camelie. Nel 1920, la Croce Rosse americana rese disponibili i fondi per trasformare edificio e giardino in una istituzione dedicata alla "educazione popolare, con speciale riguardo all'infanzia". Tramite dell'operazione fu l'avvocato Umberto Nidiaci, da cui il complesso oggi prende nome. La Ludoteca-giardino Nidiaci è da ben 90 anni l'unico spazio verde pubblico di San Frediano nell'Oltrarno fiorentino. 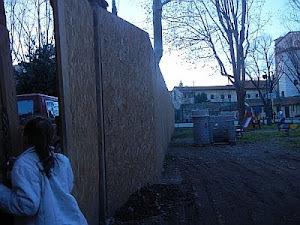 E' chiuso dall'autunno del 2012, quando l'Amore & Psiche Holding di Salvatore Leggiero si è impossessata della Ludoteca e ha successivamente recintato metà giardino con un "muro" di legno alto oltre due metri, sequestrando anche i giochi dei bambini. I cittadini dell'Oltrarno si battono uniti per riaprire il Nidiaci. Nel marzo del 2013, gli abitanti del quartiere hanno costituito l'associazione Amici del Nidiaci in Oltrarno per gestire volontariamente la parte pubblica del giardino, senza dimenticare il resto. Nel settembre del 2013, il Comune ha concesso il giardino Nidiaci in gestione all'Associazione per quattro anni.